Gov. Bill Walker just landed a big vote of support from organized labor in his effort to get re-elected in November. 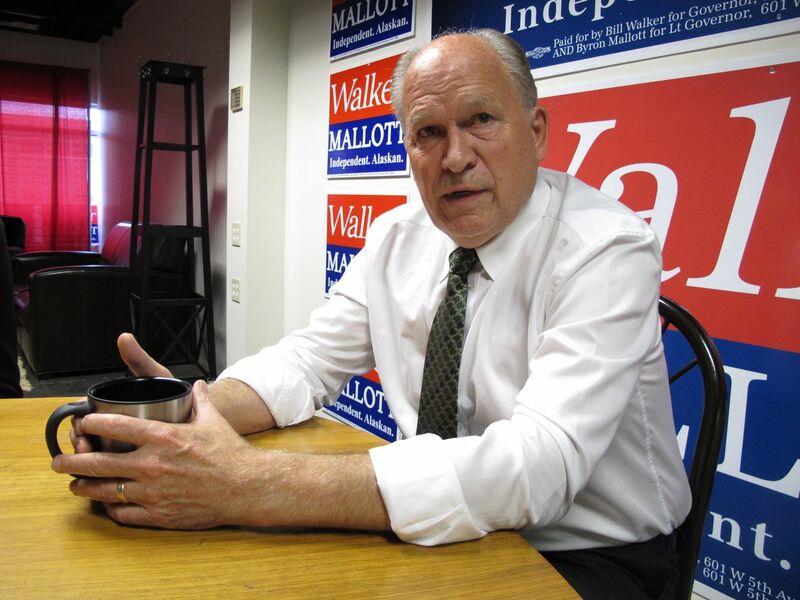 The Alaska AFL-CIO, the largest labor organization in the state, formally endorsed Walker for re-election in an announcement on Friday afternoon. Delegates of the group, which serves as the umbrella organization for most unions in the state, voted to endorse Walker during a convention in Fairbanks. "When you're weighing what kind of decision to make — a candidate that has been supportive of our issues, issues for working families — the question we look at is, did the governor do enough to earn a second term?" said Alaska AFL-CIO president Vince Beltrami. "Our delegates overwhelmingly felt that was the case." The best chance Walker has to win, though, is in a two-way race, the AFL-CIO said Friday. As it stands, the Alaska governor's race is a three-way battle between Republican Mike Dunleavy and former U.S. Sen. Mark Begich, a Democrat. Walker is running as an independent. "Certainly I don't know if there's any potential of them combining tickets like last time," Beltrami said, referring to when Walker and now Lt. Gov. Byron Mallott, a Democrat, joined forces to run on a "unity ticket" in 2014. "Whatever it takes." Also Friday afternoon, Alaskans Together for Equality — which describes itself as the state's largest member-based LGBTQ civil rights group — endorsed Begich for governor in the Nov. 6 election. It marks the first time the group has endorsed a candidate for governor. "As we continue to see looming threats from Washington, D.C., like the recent Supreme Court nomination, we need a governor who won't think twice about being the last line of defense in protecting all Alaskans' rights," said Elias Rojas, board president of Alaskans Together, in a statement.